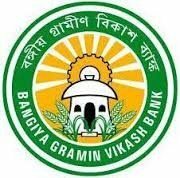 BGVB Recruitment 2015 :- Employment opportunity in Bangiya Gramin Vikash Bank (BGVB) for the post of Officer and Office Assistant (Multipurpose) on 359 vacancies. Registration process will start from 19.05.15 onwards and last date for applying for BGVB Recruitment is 03.06.15. Participants can download details from the official site of BGVB at www.bgvb.co.in. Bangiya Gramin Bank is inviting applications in the online mode from the eligible aspirants to fill up 359 vacancies of Officer and Office Assistant as per the IBPS CWE-III exam held in September/October 2014. Check more details from the official links mentioned at the end of the page. Age limit :- Applicants applying for Officer scale post need to be minimum 21 year old and for Scale 1 the maximum age is 40 year old, Scale 2 should be 32 year and for Scale 3 and Office Assistant (Multipurpose) post the maximum age should be 28 year old. Application Fees for the BGVB Recruitment :- There is no application fees for the applicants. Please Refer he official notice for more details. Selection Process :- Applicants will be shortlisted on the basis of Personal Interview and IBPS CWE-III Score cards. Participants who are interested to apply should send their applications in the online mode before the last date 03.06.15. Applicants should log on to the official site at www.bgvb.co.in. Online applications are invited from the aspirants from 19th May 2015 to 03rd June 2015. Applicants who wish to apply should send their applications by providing complete details in the application form like Personal Information, Permanent postal address, recent passport size photo and signature of the applicants. BGVB Recruitment for the post of Office Assistant (Multipurpose) on 359 vacancies. Last date to send online applications is 03.06.15.